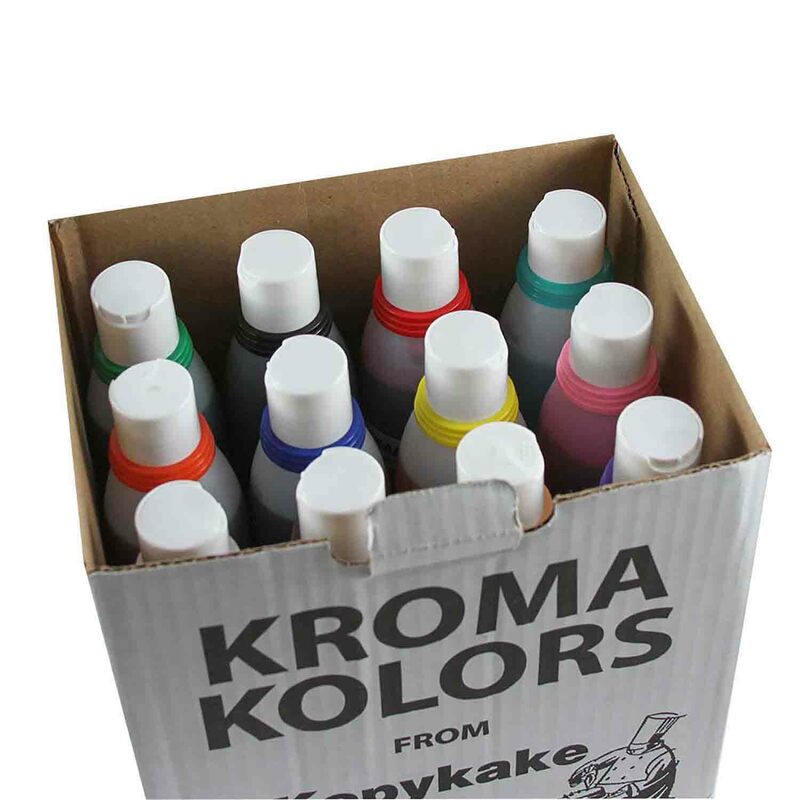 Brand: Kopykake Enterprises 34-200 Units: 12 bottles/ 9 oz. each Includes 9 oz bottles of black, blue, brown, flesh, green, orange, pink, red, violet, yellow, white and one bottle of cleaner. Includes 9 oz bottles of black, blue, brown, flesh, green, orange, pink, red, violet, yellow, white and one bottle of cleaner. Ingredients: Water, Citric Acid, Sodium Benzoate, E102 Yellow 5, E171 Titanium Dioxide, Glycerine, Propylene Glycol, E127 Red 3, E129 Red 40, E110 Yellow 6, E133 Blue 1, Caramel Color, E102 Yellow 5.